LA NETA DE LA MODA: Takashi Kawada! 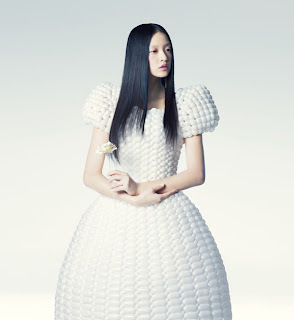 These dresses are made totally from balloons. “Daisy Balloon is balloon artist Rie Hosokai and art director/graphic designer Takashi Kawada. Making the world their stage, this balloon unit travels the globe to exhibit their art.” so cool!